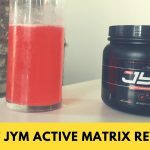 Home » Post JYM Active Matrix Review — Is It “Critical to Recovery”? Post JYM Active Matrix Review — Is It “Critical to Recovery”? Shop Post JYM Active Matrix HERE. One serving size is pretty large — twenty grams — and it’s recommended that you mix it with two to four cups of water. That’s a big drink, and it’ll provide six grams of BCAAs in a 3:1:1 ratio of leucine, isoleucine, and valine. There are a lot of additions that are intended to boost recovery. 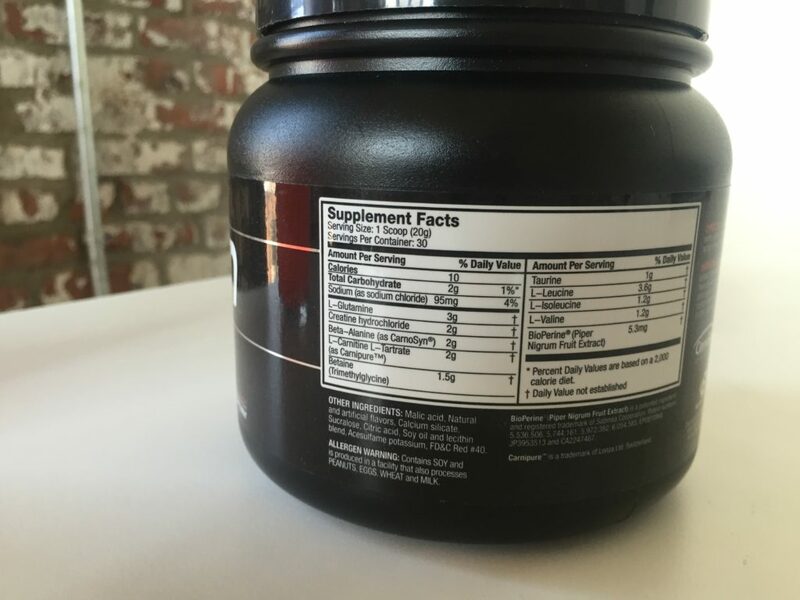 There are 3 grams of glutamine, 2 grams of creatine hydrochloride, 2 grams of beta-alanine, 2 grams of l-carnitine l-tartrate, 1.5 grams of betaine, 1 gram of taurine, and 5.3 milligrams of black pepper extract. I’ll discuss their effects in the next section. The “other ingredients” are malic acid and citric acid (for flavoring), the artificial sweeteners sucralose and acesulfame potassium, the anti-caking agent calcium silicate, a blend of soy oil and lecithin to improve mixability, and red food dye number 40. There’s a lot to unpack here. The BCAAs themselves are intended to improve muscle retention, focus, and endurance during exercise, but what about everything else? There’s very strong evidence that creatine can help with power output and muscle size, and creatine hydrochloride appears to absorb better than your standard creatine. There’s also solid evidence that taurine can reduce muscle cramps and promote hypertrophy by drawing more water into your cells. Beta-alanine may improve hypertrophy too, but it’s possible that’s just because it helps with endurance, so you can perform more reps.
Bioperine is an extract from the fruit of black pepper, the idea is that it helps the other ingredients absorb. Post JYM has a little over 5 milligrams, and usually people use 10 or 20 milligrams, but it probably has some effect. L-carnitine l-tartrate, meanwhile, may increase the effects of IGF-1 and IGF-2, which may help with muscle gain and fat loss. Some studies suggest it may reduce muscle damage produced by high-intensity resistance exercise. The betaine has been linked to improved hypertrophy and power in some studies, but scientific consensus is split, as it is with many of these ingredients. This is especially the case with glutamine, a “muscle builder” that appears to be mostly stored in the gut, and supplementary glutamine doesn’t appear to go straight to the muscles as Stoppani suggests on his site. Thirty servings costs about $35, so $1.20 per serving or 20 cents per gram of BCAAs. That’s pretty expensive; most brands fall between 10 and 12 cents per gram of BCAA, though most brands don’t contain quite as many extra ingredients as Post JYM. 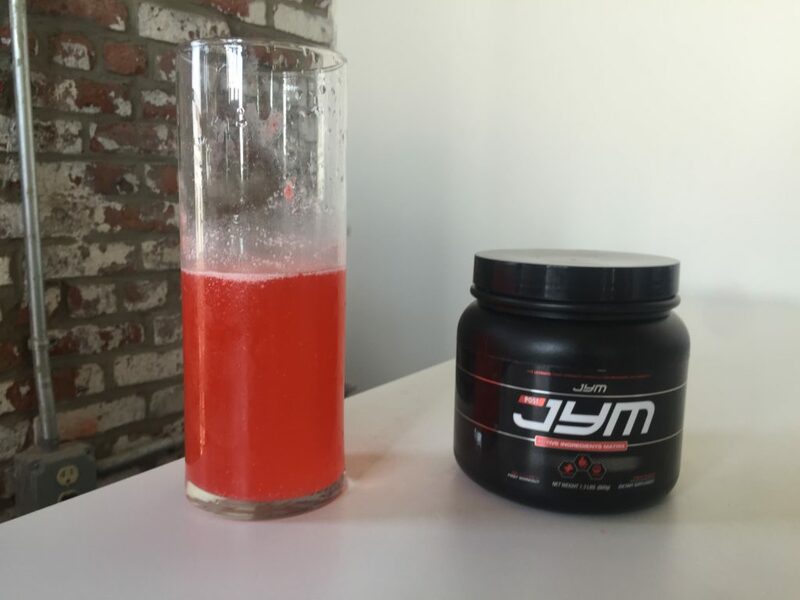 I always expect Tropical Punch flavor to taste like maraschino cherries and watermelon jolly ranchers, and Post JYM does fit the bill. However, I’d say it’s also reminiscent of sherbet — it’s got a little more vanilla than your standard super-sweet Fruit Punch flavor, and that was enough to put it among my favorite BCAA flavors of all time. 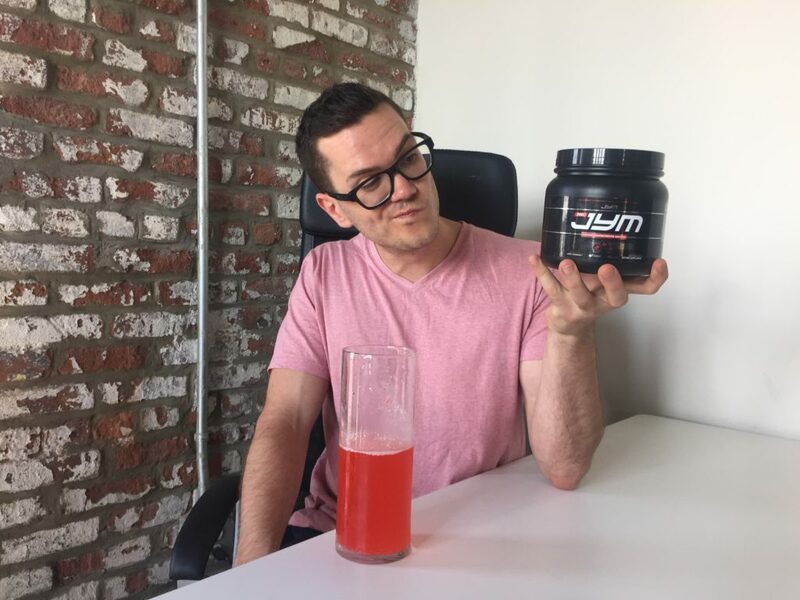 Here’s the thing with Post JYM: despite the website saying that “All eight of the ingredients in Post JYM are critical for recovery,” there’s not exactly a resounding scientific consensus for all of these ingredients. And let’s be honest, people have and will continue to recover from exercise without this supplement. There’s very good evidence for the BCAAs, taurine, creatine, and the pepper extract. There’s a good argument to be made that the other ingredients can improve recovery, but I wouldn’t say the case is settled. I can’t really blame a supplement for saying that it’s an awesome supplement that gives you everything you need, but I would have liked slightly less declarative statements from Dr. Stoppani, and I really would have been liked it if he’d included studies to support his claim like MuscleTech’s Amino Build Next Gen.
My suggestion is to do some of your own research before investing the extra money that JYM will cost, and if you’re convinced — and you don’t mind soy and artificial sweeteners — give it a try and see how your recovery improves.